This thought is on most people's mind these days...well, for decades to be truthful. I know this sounds basic and cliche, but its gotta be one of the hardest things for people to do initially. OMG!!! I am one who likes to start at the bottom line and build up...unlike my "self help" counterparts who penned The Secret which, for the mass sheeple, is like feeding calculus to a 2nd grader in my humble opinion. This society is so misinformed that true change means that one MUST begin at Ground "0"...yea, but who has time for that, right? In order to find true purpose...YOUR true purpose...the first step is to step away from the bubble we live in...and we all live in one. That place where we are consumed with how we look to others, succeeding in life, personal pleasures and demons, other people's problems...etc., etc., etc. Stepping outside of our comfort zone means that for the first time we can begin to see things from a less self-centered approach, A certain level of humility is inherent in our new space and allows us to view our strengths and gifts from a more macrocosmic vantage point. Outside of our comfort zone we take things that happen to us less personal and can begin to understand that when someone deliberately offends or insults us, it's less about us and more about their own insecurities and shortcomings. Finding your purpose is an inward journey, contrary to popular belief, and far too many of us are so full of the desire for temporary pleasures that the real keys to who we are are buried deep beneath the rubble. When we muster up the courage to take a few steps outside of our normal survival mechanisms, we can see that much of our need for pleasure is just a temporary, fleeting sensation that is neither loyal to our destinies or even remotely interested in our Divine purpose. In our warm fuzzy little comfort zones personal desire is the center of our existence. When we step outside of this we can actually see the things that God has been trying to show us like Dorothy in the Wizard of Oz. Our context shifts from the personal desire to be better to the personal desire to be better within the world we seek to make better. Understand? In this new found freedom, our focus shifts to the greater universal good and our choices stem from our natural roles within this greater universal good. These choices connect the dots to our purpose, our Divine gifts. As we begin to learn ways to fulfill our purpose, everything shifts to a higher frequency including our respective career goals, familial goals, spiritual goals, etc., as well as the kind of company we keep. Once the things that truly matter to us become much bigger than ourselves, our Divine universal purpose can be revealed to us. 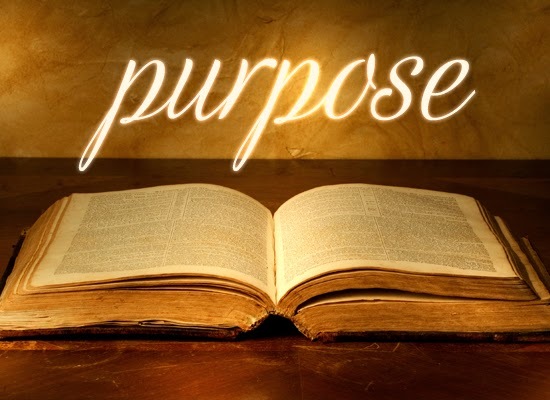 We open ourselves to receiving the tools that are essential to the fulfillment of our purpose. Of course, leaving your well lived in comfort zone is not easy; it takes lots of mental, physical and spiritual work. But the reward of unlocking the door to self is an unmatched, never-ending reservoir of peace and wisdom. Keep it simple. When those sneaky feelings of insecurity, anger, fear, anxiety, sadness rear their ugly heads, rebuke them expeditiously for these are the things that drag us backwards and lock us into our bubbles. Outside of the bubble, we discern that such negative emotions are just fleeting traps that can be let go of and loosed for good. Get started. The time is now. Read more. For me, it's biblical teachings and other anecdotal literature that inspire. Find yours. Meditate on the bigger picture of life. Think on the infinite as opposed to the finite. Give freely and be genuinely happy for the success of others. Kill your green-eyed monster. Pray all the time. Talk to God. Speak your desire to grow spiritually. Seize moments of quiet solitude so that you can train your spirit to hear Divine spirit. Choose Joy at all cost. Soon you will wonder how you ever existed any other way.